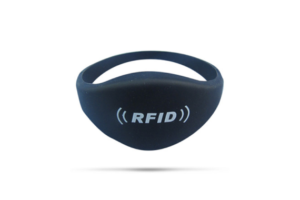 SM-0005-X Paper RFID Wristbands are available 125 KHz, 13.56 MHz or UHF frequencies. These single use PVC RFID wristbands are waterproof and have a read distance of approximately 15-30 cm (depending on reader). Suitable for applications where reading one wristband at a time (LF and HF) or many at a time (UHF) is desired. 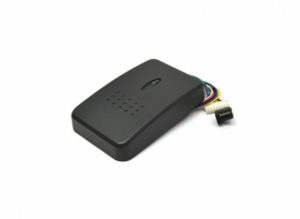 Applications: RFID access control, RFID ticketing and RFID stored value and credit applications. These low cost disposable paper RFID wristbands wear comfortably for several hours on tours, at museums, concerts and parties, at tradeshows and lectures and at product promotions and marketing events. Construction: SM-0005-X Paper RFID Wristbands are single use and made of coated paper that is not easy to tear. The plastic clasp secures the band at the desired size on the wrist. The clasp cannot be opened once it is secured. The wristband is cut to remove it from the wrist. 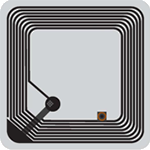 The RFID tag portion remains readable after the wristband is cut. Sizes: The SM-0005-X Paper RFID Wristband comes in five different shapes and sizes to address all requirements. When choosing a paper RFID wristband for your application, please consider the overall length of the band if you need them for both larger and smaller sized wrists. Please also note the dimensions for the branding area if you need to print logos or other information on the band. The SM-0005-X is available in six different sizes and all are fully adjustable so as to fit any sized wrist. Different shaped wristbands and different colours can be used to categorize VIP from regular guests or for breaking groups into smaller sub-groups.